A total of 1,083 police staff have also been stripped of their rank. According one decree, 32 parliamentary staff members and 183 judicial personnel have been dismissed, while 35 employees of the Education Ministry, Parliament and the Disaster and Emergency Management Agency (AFAD) have been reinstated. Similarly, 39 military personnel including two generals who were dismissed following the coup attempt have been returned to their posts. In accordance with decree, 68 students who are receiving an education in the US, Canada or the UK have been dismissed from their schools in Turkey. Another new decree has limited the number of lawyers in terrorism cases to three. Government decrees also allowed prosecutors to tape jail meetings between lawyers and detainees on trial for terrorism. With the new decrees, lawyers can be banned from defending suspects they are being investigated over similar accusations. 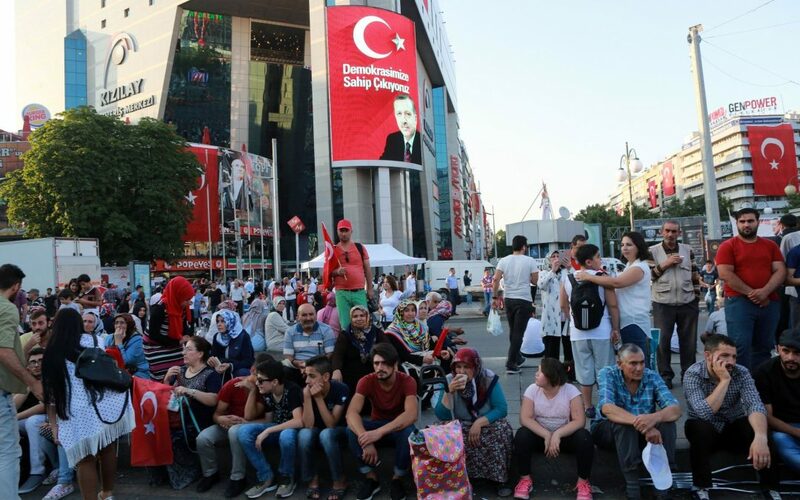 More than 105,000 people have been purged from state bodies, in excess of 80,000 detained and over 36,000 have been arrested since the coup attempt. Arrestees include journalists, judges, prosecutors, police and military officers, academics, governors and even a comedian. Critics argue that lists of Gülen sympathizers were drawn up prior to the coup attempt.